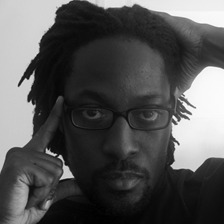 Nii Ayikwei Parkes is a writer, editor and performance poet. His debut novel, Tail of the Blue Bird, was shortlisted for the Commonwealth Prize and translated into Dutch, German, French and Japanese. He is the publisher at flipped eye publishing, one of the most respected small presses in the UK and curator of the African Writers' Evening reading series.